Justin's Blog » Blog Archive » Hail West “Virgina” . 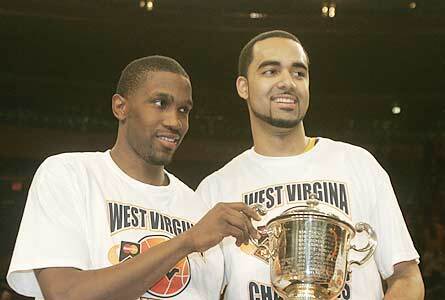 WVU won the NIT last night. However, I think Clemson got the last laugh. Check out the spelling of West Virginia on the t-shirts the NIT gave our boys after winning the game. Oops! CNN / Sports Illustrated has now picked up the story. I hope WVU gets an apology soon. I’ve seen more stories about the t-shirts than I have seen about us winning the game.